Michael Davis wrote the book, “Memoirs of One Lucky Kid’. In that book was a chapter on his time as a kid spent at the Asbury Air Terminal. 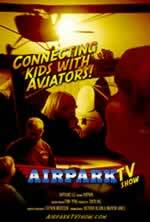 That chapter was part of the inspiration to get Airpark TV show going. He has been a terrific supporter and has been helping us with the legal work that we need to make the show a reality. We are very grateful for his help!